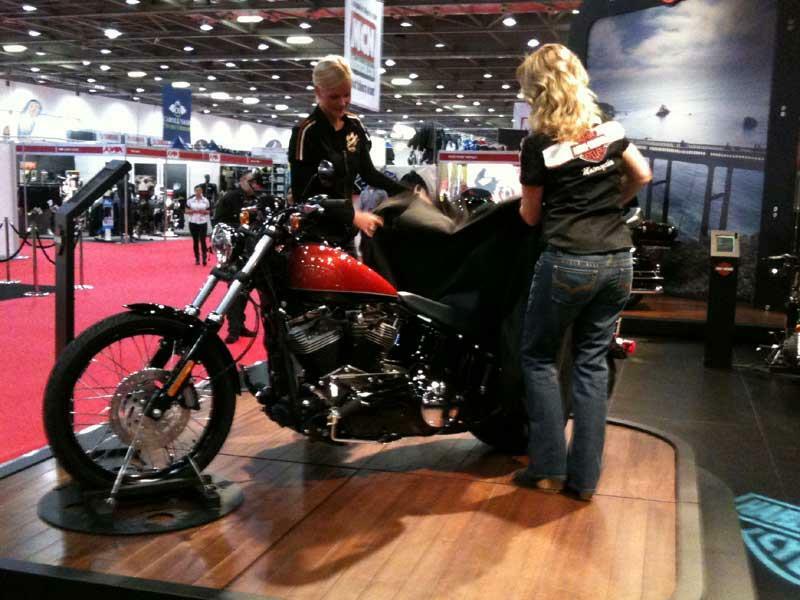 Harley-Davidson has taken the wraps off a reintroduced version of the 1200 Sportster Custom at The Carole Nash MCN Motorcycle Show – the first time the bike has been seen in the UK. The bike has been heavily revised with a new front wheel with a chunky 16 inch front tyre, spoked wire wheels and a redesigned LED rear light. The bike will cost £8295 in the UK. The updated Sportster Custom is based on the 1200cc V-twin with a black powdercoated engine, hand-finished fuel tank and new handlebars. Harley is also showing off the new Blackline Softail. It costs £13,895 and has the clever trick where the rear of the bike looks to be hard-tailed but is actually suspended by underslung suspension hidden by the V-twin’s engine and frame rails. And, as the name suggests, it features masses of black finish – crankcases, frame, swingarm, fork yokes are all in black powdercoat. And if that isn’t enough, the wire-spoked 21in front and 16in rear wheel rims are also anodised black. But, of course, it wouldn’t be a Harley-Davidson without some chromed parts, like the timing covers foot controls and more. The Blackline Softail is a totally new take on the traditional Softail custom – it’s pared to the bone in true bobber style. With a minimal, lightweight rear light unit bolted to a high and tight rear mudguard, it’s sure to make customisation even easier for the owner. Its mean looks are also a hook for younger riders to buy into Harley and create their own unique versions. Many new parts feature throughout, among them the new asymmetric 18.9-litre fuel tank, an oval chromed air intake, and a new deep-comfort two-piece seat which, with rider astride, offers the lowest seat height (660mm) within the Harley range. 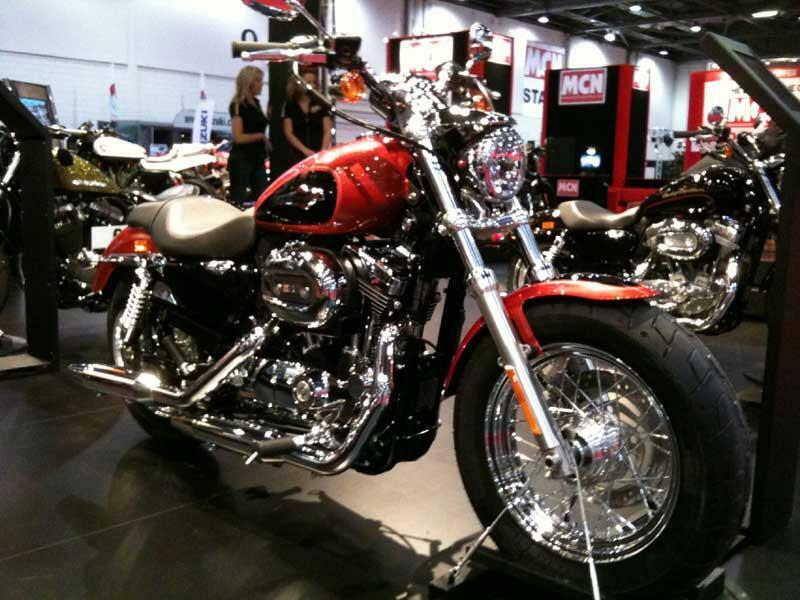 Harley will also be showing many of its new 2011 colour schemes on its model range. Upwards of 12 bikes will be on display, including the sporty XR1200X, inspired by the original and much sought-after flat-track racing XR750 – one of which will be on display.